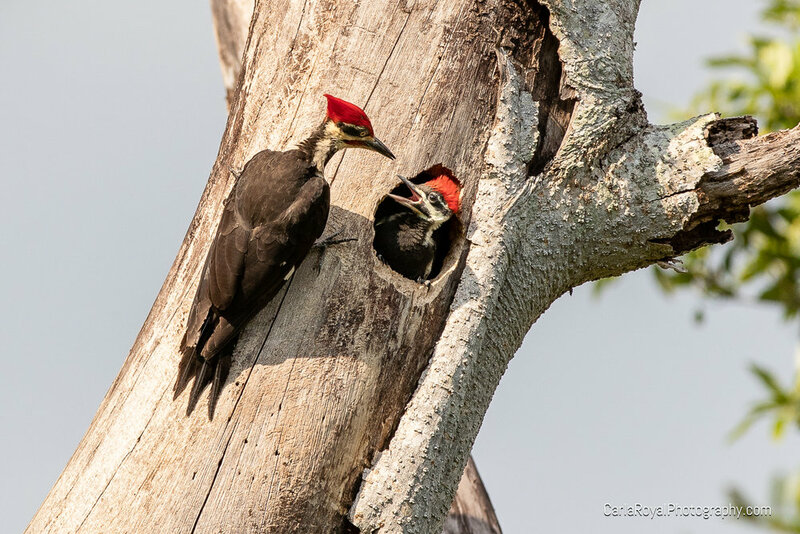 I was fortunate to stumble upon a pileated woodpecker's nest with three babies. Two males and one female. It was such a treat! I read in Animal Speak that according to native American tradition, Woodpecker is a bird connected to the heartbeat of the Earth itself. These beauties remind me that we humans are also connected to the heartbeat of the earth. By design. It has never been any other way. We are connected to Earth and to All. We are never separate. We only have the illusion of separateness and that illusion can leave us feeling alone and bound. The belief that we are separate has wreaked all kinds of havoc and led to all manner of unnecessary suffering. Leaving us bound needlessly to the nest. We are not alone. 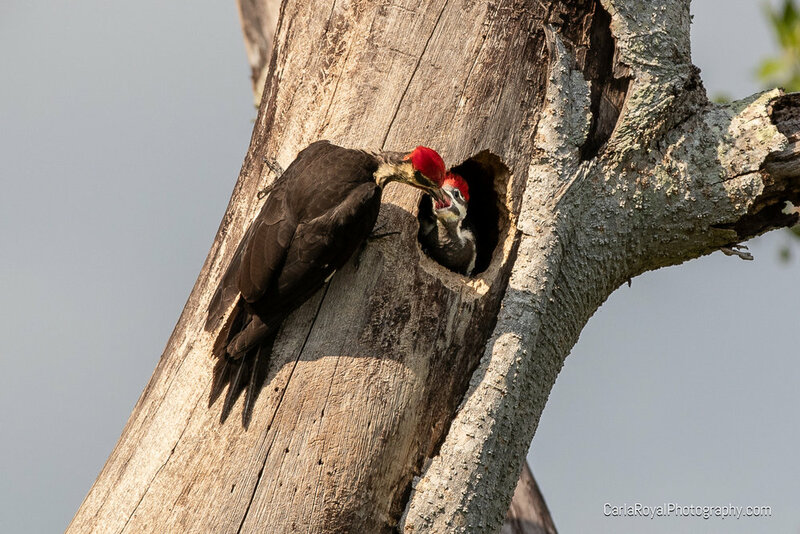 Life is living you and me just as it lives the pileated woodpeckers and their three babies. These babies won't remain in this tree much longer. Already the parents are urging them to fly. They are born to fly. I believe they feel the urge but they don't yet trust their wings. It won't be long now. The desire to fly will overcome their fear. They understand that they are not alone. Dad calls sounds of encouragement from another branch. It's time, babies. It's time. You can trust your wings. He brings them more food. They will need their strength for their first flight. He understands. It's time, babies. Carla is currently running an annual fundraiser to help folks who can't afford coaching. Please take a look at this page to hear from a couple of pro bono clients, see what cool bonuses she is offering, and to learn more. Your info with never be shared or sold. Ever. Thank you! An email has been sent to your inbox. From there, click on the verify email link and you will be taken directly to your gifst.